smallest baby burial clothes for stillborn babies delivered at 24 weeks gestation. your baby girl can be dressed fully and settled for families cuddles and viewing ready for the burial / funeral service. 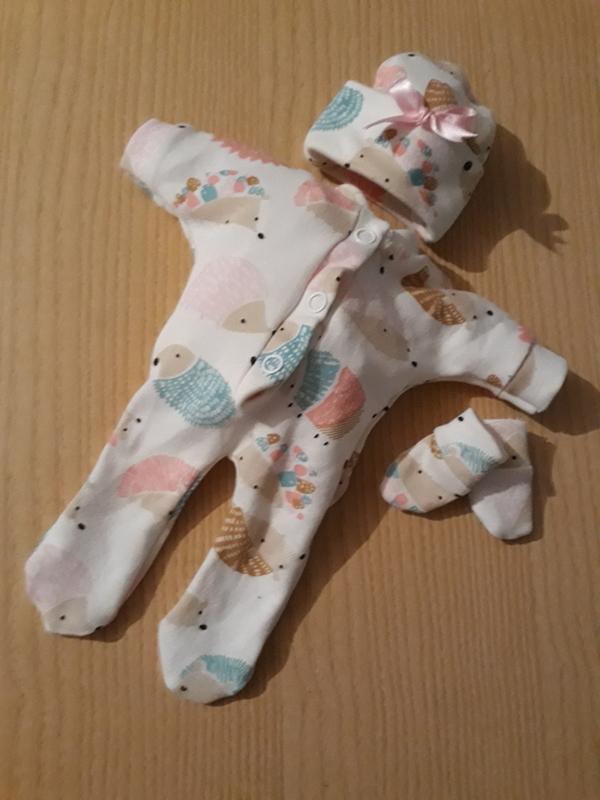 settled in peace with this complete set comprising of babygrow beanie hat and soft cosy mittens .also available in 22 weeks size hand made to order by Something Precious TM . click the order button just below to order this adorable hedgehog family print that's amazingly cute too.